Among the UAC enterprises was a chain of department stores called Kingsway. 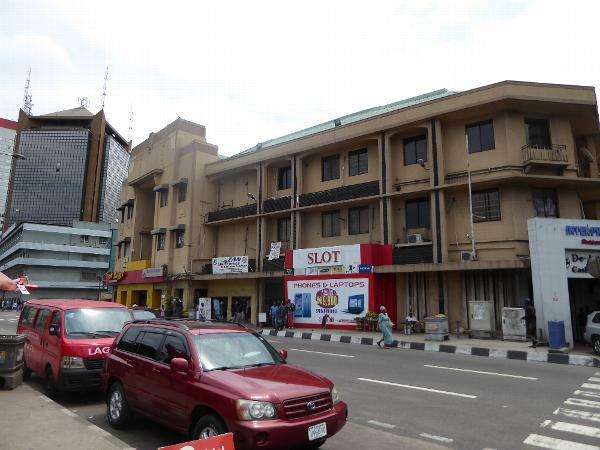 The Lagos store, shown here, opened on Marina in 1948 and included a Nigerian first: an escalator. Gunther in the early 1950s wrote that "the all-powerful United Africa Company maintains a modern, well-equipped shop--swarming with African customers." Leith-Ross found a nun who was less amused: "Examinations have ruined education; Kingsway has ruined virtue." No longer: the store's closed. See Gunther, p. 178; Leith-Ross, p. 137.